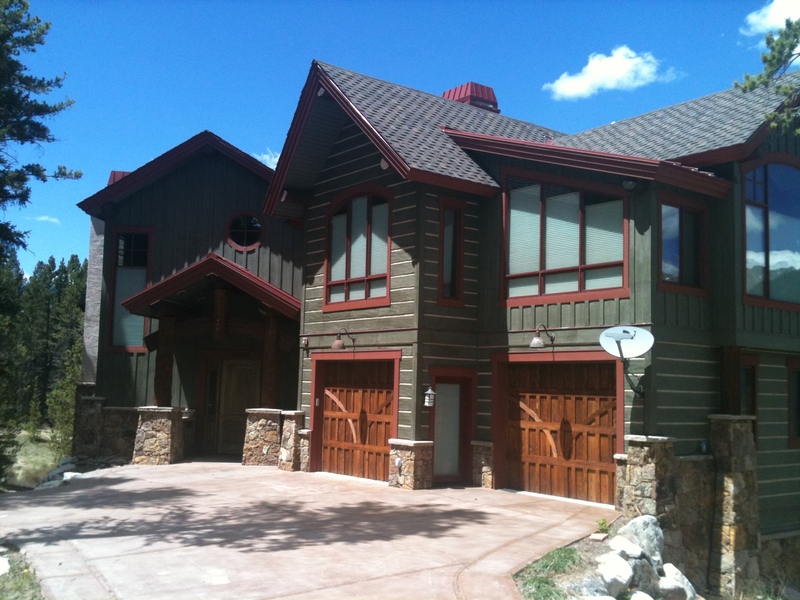 This home in Copper Mountain Colorado is one of many of the house staining projects we complete yearly in the Su mmit County Colorado area. 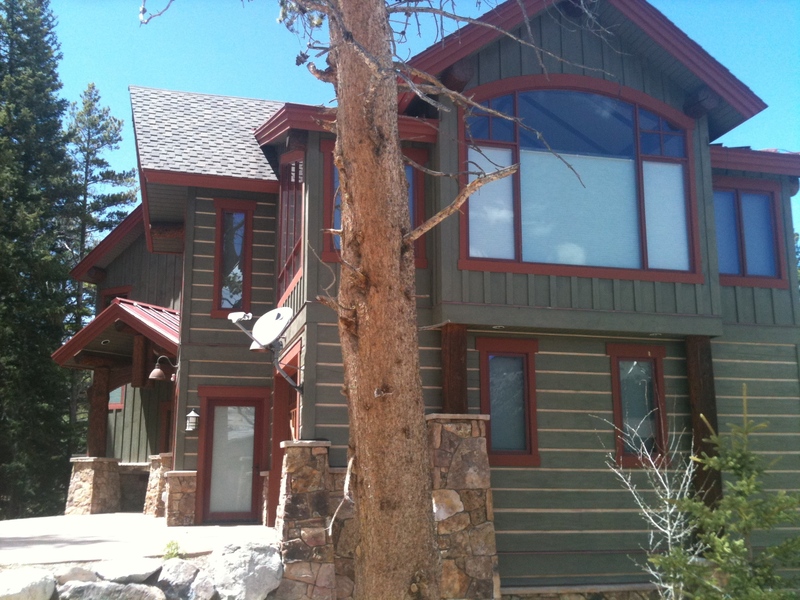 A large percentage of the projects we complete are in the Breckenridge area. This is an example of a semi-transparent and solid stain craft design. The olive hues of the logs and the burgundy colors contrast with the natural setting. When staining log homes extra care is needed to assure the chinking remains clear of stain. It simply has to be done the old fashioned way…by hand.